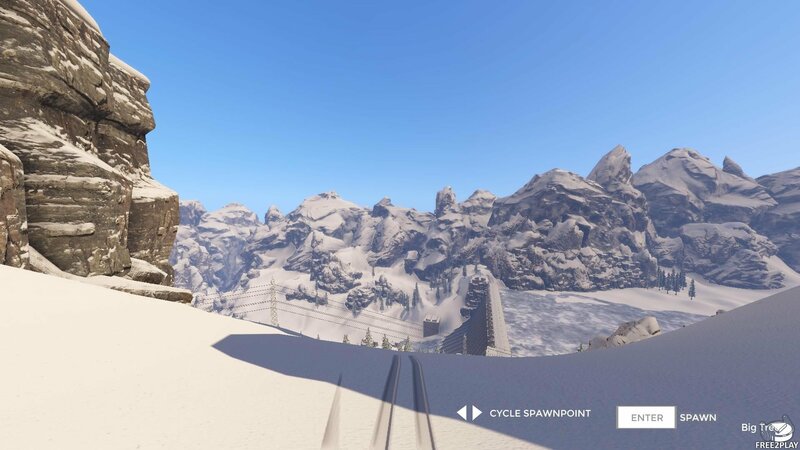 Snow is a free-to-play free skiing MMO where players can enjoy an open-world sandbox simulation, which gives players complete freedom when it comes to exploring the maps, customize their characters, and create their own routes. The game has been developed using the CryEngine graphics engine, which provides the game with outstanding graphics and visual effects. 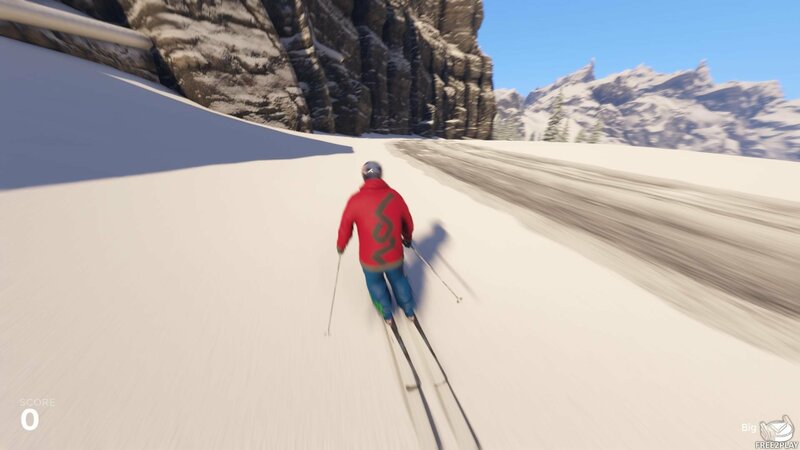 The game is a free to play skiing MMO where the players can tame the slopes of the mountains and explore the maps to find the best routes to execute all kinds of tricks, jumps and stunts. 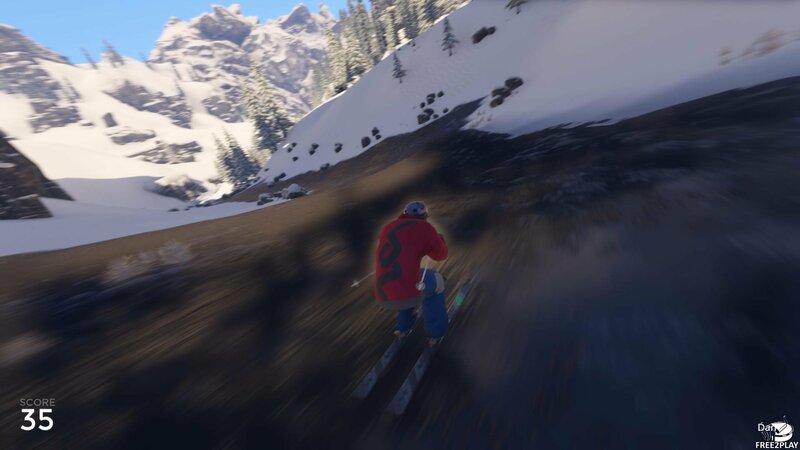 When played in first person mode players will truly feel like they are on the snow, the sound of wind whipping past their ears as they cut around dangerous rocky terrain, cut through heavily wooded forests dodging trees and seeking out a wide variety of features and cool locations. Snow is not another game where you can do impossible stunts or jump 20 meters into the air; It allows us to do tricks that we could actually do in the real world, with real physical, speeds and timings. Combined with the game graphic detail, this makes Snow a very realistic and immersive simulator. Characters have to be equipped with all manner of accessories and gear, which mainly are purely cosmetic and do not provide additional skills (again emphasizing the realism of the game). There are 11 different spaces that can be customized, from skis, sticks, shirts, to masks or helmets. There is a huge variety of items, more or less realistic, as Knight Helmets or hats, as well as helmets of real brands. The huge catalogue of accessories enables us to equip us with the most important brands and the latest season's trends are continuously updated to follow the most popular items and equipment available in the winter sports world. Sialia - This map leads us to a huge mountain where we can ski at high speeds. The map has a size of 8 km² and has more than 20 unique locations, like towns, rivers, icy waterfalls and hydroelectric plants, and a course of obstacles. Players can choose to appear in different parts of the map, to create their own routes. Big Air - A long run up to a traditional ski jump, this jump allows players to get some altitude as they try to perform a number of stunts and land them in front of a cheering crowd; players can also go beyond the boundaries of the jump and explore the local area. Fochi - This map is designed to be a circuit with falls, ramps and Rails where we can perform a variety of tricks and stunts, so it is perfect to compete against other players to increase our ranking. 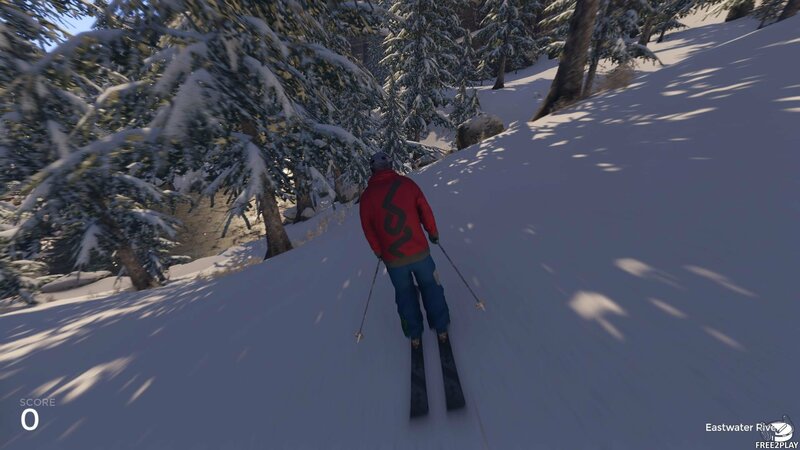 The first person view, combined with Oculus Rift gives players an incomparable experience, since along with its realistic controls, its graphics and its effects, we can really have the feeling to be skiing.